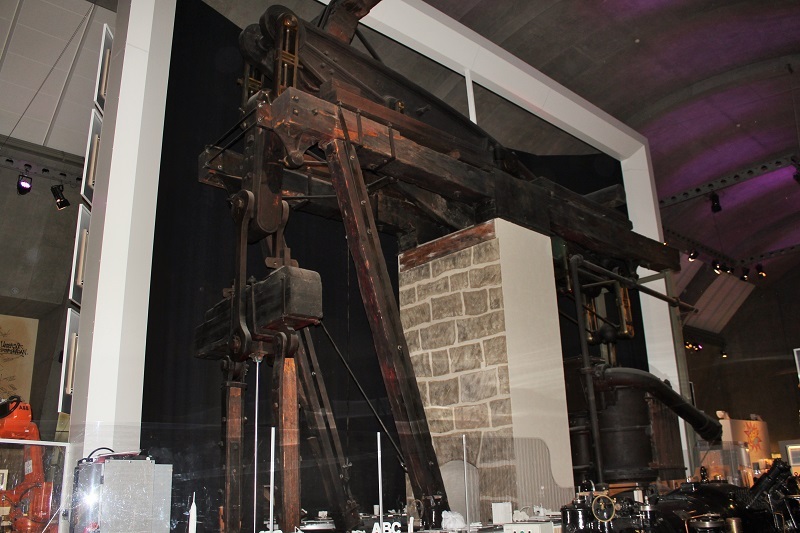 A large beam pumping engine (balansgång pumpmaskin) designed and constructed by Samuel Owen was preserved and put on display at the Swedish National Museum of Science and Technology (Tekniska Museet) in Stockholm. 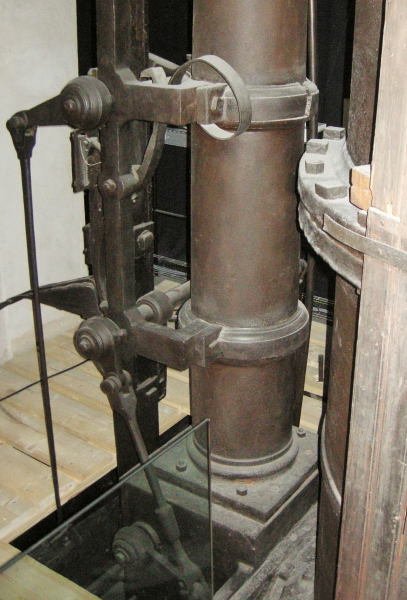 The engine was the biggest built by Samuel Owen, in 1832, for the coal mine at Höganäs, and was in operation until 1904 . 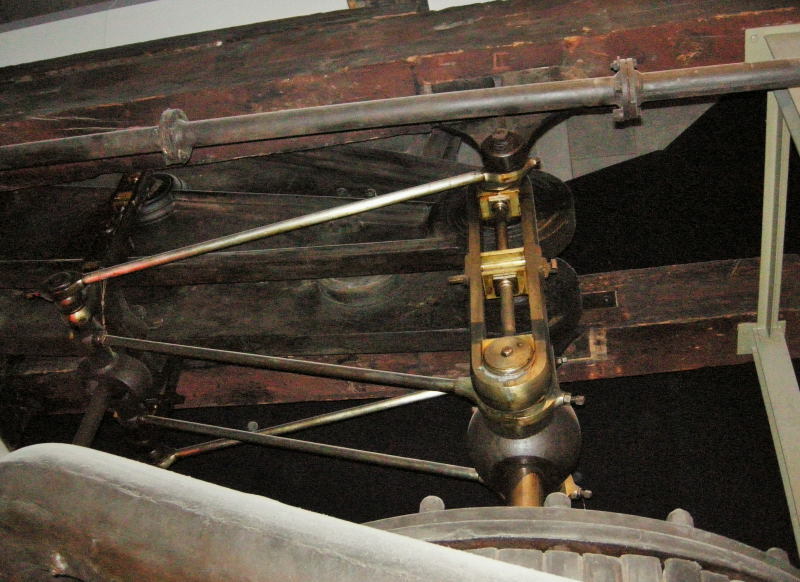 The engine remains on display in the museum in 2018. Although it is in the centre of the largest exhibition hall, it is difficult to study closely, being partly hidden and dimly lit. Anyone inspired to understand how the valve operating mechanism works will find this frustrating. 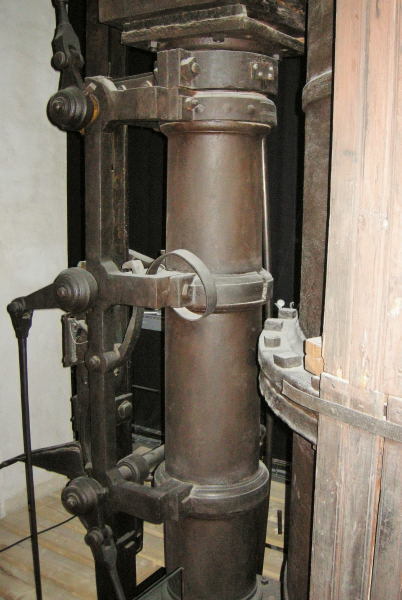 12 strokes per minute with steam pressure of 1.3 bara (approx 4.4. psig), lifting 5.3 m3 per minute against a head of 73 m.
The cylinder is unusual in being made in two parts, having a bolted flanged joint at mid height. The joint can be seen in photo 3. 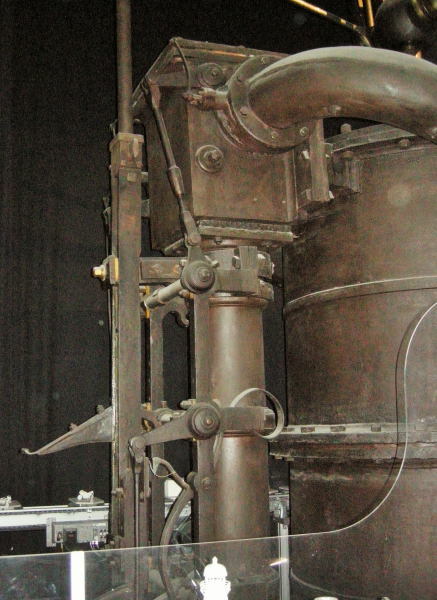 The brackets for the valve operating gear are clamped to the pipe which interconnects the top and bottom steam valves, and two of the clamping brackets have broken, as can be seen in photos 3 & 4. 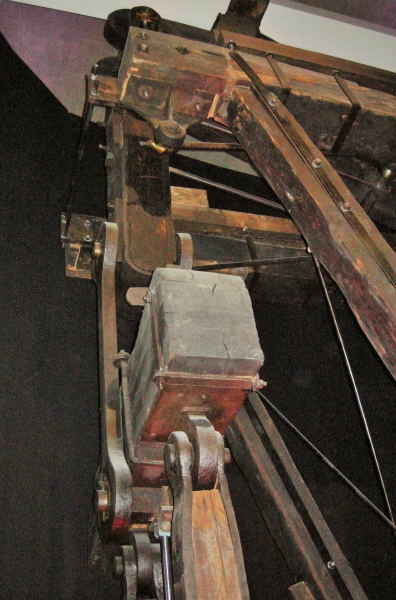 The upper bracket (visible in photo 4) was repaired. This page was last edited on 13 June 2018, at 10:48.